Originally published in 1990, this is a fully updated and greatly expanded version of the best-selling history of these two California national parks. 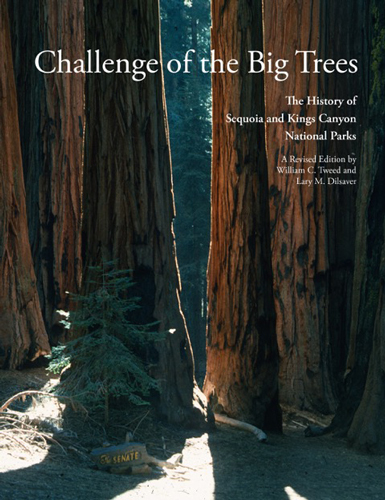 First published in 1990, this updated and enlarged edition of Challenge of the Big Trees stands as the new definitive history of Sequoia and Kings Canyon National Parks. Located in the southern Sierra Nevada of California, these twin parks preserve an astounding sweep of natural and cultural resources, including not only the world's largest trees, but also some of the most spectacular mountain terrain to be found anywhere on Earth. Challenge of the Big Trees traces the origins of the two parks in 1890 and then chronicles how they came into their own during the early years of the twentieth century. Because the two adjoining parks date back to the very beginning of the national park movement, their story illustrates the larger narrative of nature preservation in the United States. The many challenges faced over time in the management of these two parks bring to life the difficulties of protecting wildlands and natural resources everywhere. This new edition brings the story of Sequoia and Kings Canyon up to 2016 and the centennial of the National Park Service. It documents the big changes made in the parks since 1990 and addresses the myriad challenges the parks still face, including climate change and evolving social attitudes toward nature. The book also features numerous historic photographs and custom maps that allow readers to understand how this important story has played out on the ground. Challenge of the Big Trees is a book every visitor to Sequoia and Kings Canyon and every aficionado of national parks will want to read and add to their library.